80% organic material for a darker, earthly sound. Same great benefits as our Carbon and Natural Fiberreeds. This Fiberreed is totally made out of the white hollow fiber foam resin compound which copies the structure of the natural cane (Arundo Donax). 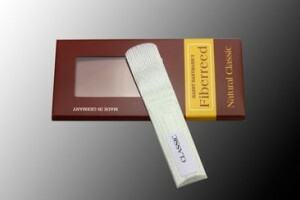 The Natural Classic Fiberreed consists of the same material like the Natural Fiberreed. It has a steeper cut sounding warmer and darker than the Natural Fiberreed. It suits perfect for a vintage jazz sound or Classic mouthpieces like the Selmer C*. 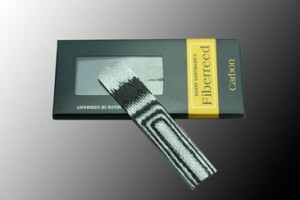 The Carbon Fiberreed material has high modulus carbon fibers as every second layer. 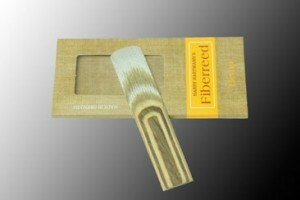 The overtones are richer and the sound spectrum is bigger compared to the Natural Fiberreed. The low register is fat, the high notes are screaming having a convincing presence. The differences betwenn the Carbon Classic Fiberreed and the Carbon Fiberreed are the same as with Natural and Natural Classic Fiberreed.The Carbon Classic Fiberreed has a steeper cut sounding warmer and darker the Carbon Fiberreed is brighter and shining.